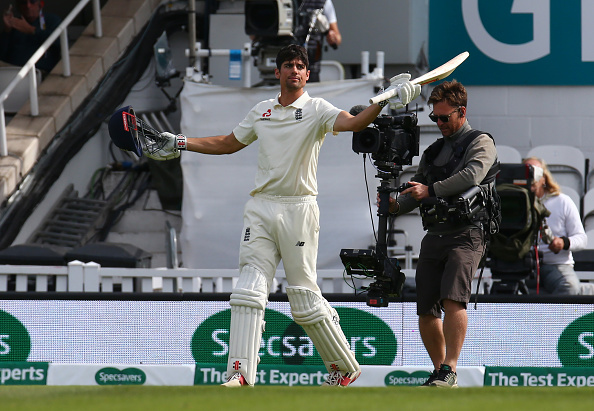 With scores of 71 and 147 in two innings at The Oval, Cook bid goodbye to his England international career on a high. It was a perfect farewell for Alastair Cook from red-ball cricket as England registered a comprehensive 118-run victory over India in the fifth and final Test at the Oval on Tuesday (September 11). By virtue of this win, England secured the five-Test series 4-1. As a batsman, Cook also had a fairytale ending. The southpaw etched his name in the cricket history books by becoming only the fifth player to score a century in his first and last Tests. During his 147-run knock, Cook also leapfrogged Sri Lanka's Kumar Sangakkara to become the fifth highest run-getter in the history of Test cricket. "It has been the most amazing week, one you couldn't have scripted. Got a text from Beefy (Ian Botham) and he said 'Can I have your script writer? '," Cook said at the presentation ceremony. Cook received the Man-of-the-Match award for his two fabulous innings in the Oval Test. In the first innings, the left-hander had played a gritty knock of 71 runs. He was certainly ecstatic to have contributed to England’s win in his final appearance. "Just been amazing, great to contribute to an England win, and win the series 4-1. Also a great game of cricket, to go into the last session of the last day with all four results possible, great advert for Test cricket. Been great moment, sad moments, when it's been tough, Test cricket shows how hard it is, turn up needing seven wickets but it goes right to the end. I leave with great memories, the memories shared with my team is what I'll miss the most," Cook asserted. Amidst the adulation, Cook didn’t forget to highlight the achievement of James Anderson, who took his 564th Test wicket on Tuesday to surpass Glenn McGrath and become the seamer with most number of Test scalps. 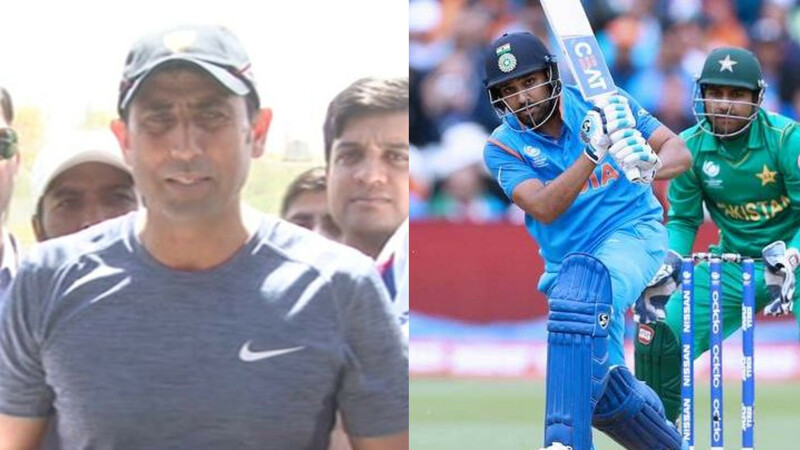 "Amazing, it was a selfish thing to be standing there while everyone cheering, and then to see Jimmy pass Glenn McGrath's record was brilliant. That was the hardest bit, him and Broady are the ones I've played the most with, to know I'll never stand at slip and drop another catch off them is sad,” Cook remarked. “We've lived in each other's pickets for 12 years. Been a privilege to play with England's greatest cricketer, no disrespect to any other guys, his skills to do it time and time again, you almost take it for granted, that's he's going to hit a length. The game was a little bit tight, but he didn't miss his length once. It is fitting that he got the last wicket," he explained. 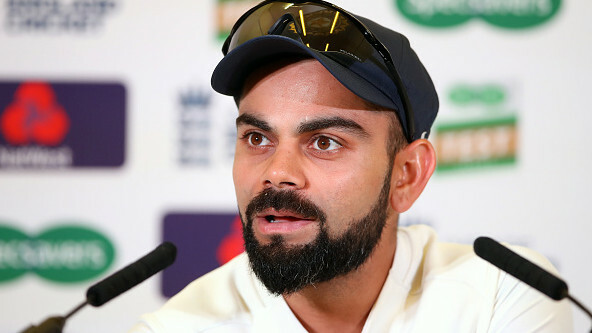 Cook said he would not miss the stress of international cricket but he certainly will miss the experience of being with the team. "The amount of hard work, the pressure and strain, I won't miss that. But you miss the highs and the rewards, playing with this team, be great to see how they develop,” he stated. “This week can't be beaten, I can walk away with my head held high," Cook concluded.